Sometimes it pays to venture outside Melbourne’s city grid and into its vibrant suburban pockets. Just 20km southeast of the city is Glen Waverley, a popular suburb known for its concentration of mouth-watering Asian restaurants to suit all budgets – with many hovering around the cheap and cheerful end of the scale. You can find good Asian food pretty much anywhere in Glen Waverley, but the main action can be found on Kingsway, a bustling outdoor dining strip just a short walk from Glen Waverley railway station. Whether you’re craving home-style Malaysian cuisine, or smoky Korean barbeque flavours, or ready to get stuck into a group gossip-feast over chilli-laden hotpot soups, you’ll find what you want in Glen Waverley. And if you want to take a break from Asian food, you’re bound to find many options in Kingsway including the much-loved Piatella. Here are five reasons why you should add Piatella to your list of must-go-to eateries in Glen Waverley. The best thing about Glen Waverley’s food scene is that it draws inspiration from Melbourne’s multicultural heritage – and Piatella’s produce-driven menu is a great example of modern Australian fare, inspired by the world’s finest cuisines. Starters and mains are European-influenced, a nod to the Greek owners’ family heritage and travel adventures. Meanwhile, desserts take on a broader global influence with the Asian-inspired matcha green tea mousse being a popular hit with locals. These days, it’s often hard to find a top-notch restaurant that feed you for less than $40 a main; if you’re lucky, you’ll even walk away feeling full. 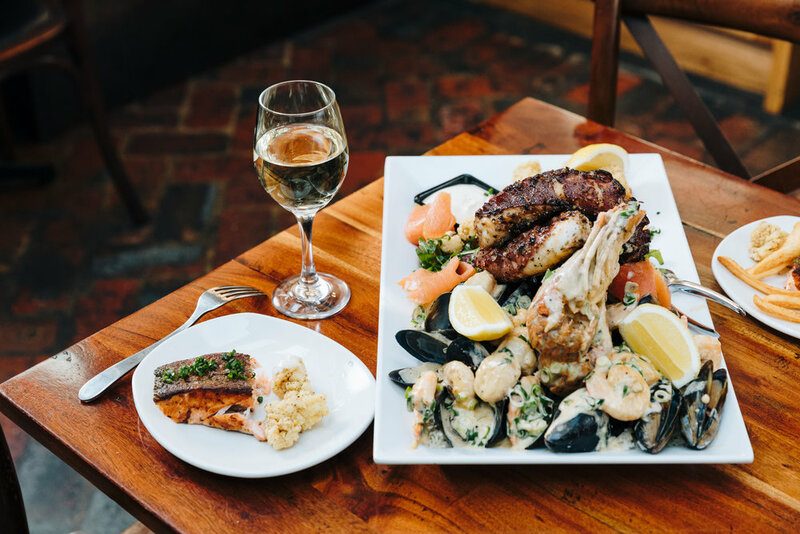 At Piatella, you can easily find a mouth-watering main for less than $35 and you’re more than likely to have enough change for a drink or dessert. Best of all, Piatella’s portion sizes are generous – after all, the last thing the crew would want is for you to leave feeling hungry! 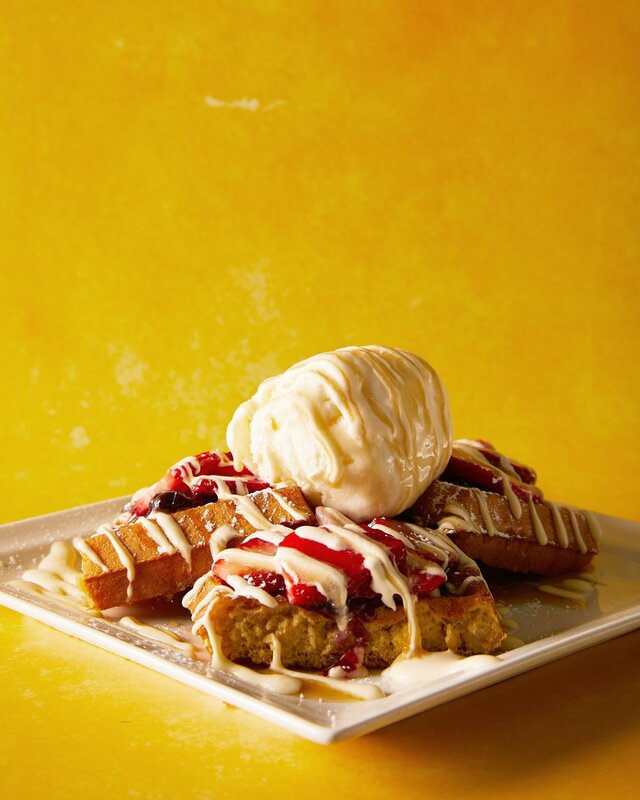 Those in the know will tell you that Piatella’s desserts are simply stunning – you may have even seen a few of them floating around on your Instagram feed. Piatella’s signature house made crepes and waffles are available after 5pm Mondays to Thursdays, making them the perfect post-dinner treat; they are also available all day from Friday to Sunday. The Piatella special (fresh strawberries and banana with Nutella) is simple yet delicious – and Piatella’s house signature for a reason: it’s THAT good. Other popular options include the spiced apple confit drizzled with special butterscotch sauce or the honey and walnuts, a nod to the owners’ Greek background. Piatella’s Middle Eastern-inspired saffron infused poached pear bircher is a sight to behold; best of all, it’s packed with healthy grains and fats to keep you feeling satisfied all morning. Feel like something a bit more indulgent? You can’t go wrong with a plate of fluffy pancakes served with your choice of caramelised walnuts, banana and butterscotch, or strawberries, banana and Nutella. Kingsway may boast so many amazing restaurants, but it’s hard to find one that’s open all day for breakfast through to supper. Piatella is open from 7am to late on weekdays, and from 7:30am to late on weekends so you drop in whenever you need a fix at all hours of the day.